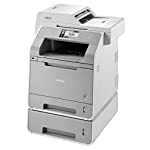 Brother MFC-L9550CDWT: Fast color laser all-in-One with two scan lines in the ADF, duplexer and standard second paper cassette. 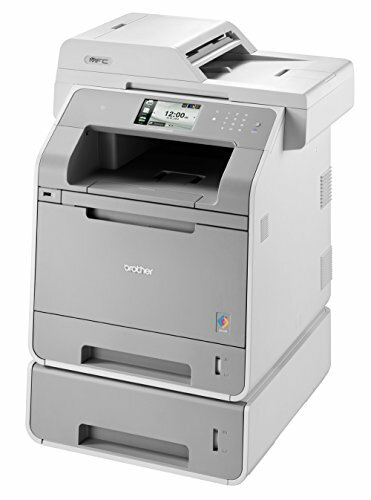 Brother has launched the MFC-L9550CDWT, a fast color laser multifunction system that is well-equipped and easy to use with its huge touch screen. We are reviewing the Brother MFC-L9550CDWT, which is designed for high-volume printing and comes with two 800-sheet paper trays. 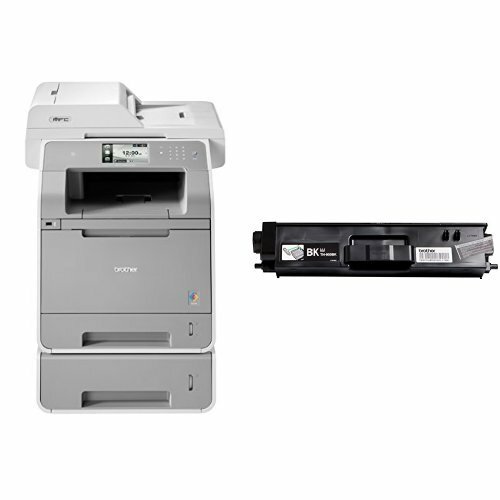 Brother did not save on equipment: Both the fast 30 ppm print unit and the document feeder (ADF) have duplexers that can print or scan the paper from both sides. The duplexer in the ADF does not need to turn the paper because Brother has equipped the machine with two scan lines. 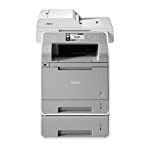 This allows the ADF to read the originals in one go from both sides, resulting in razor-sharp duplex copies or scans. 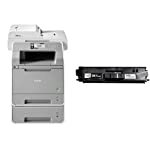 Like all Brother printers, the MFC-L9550CDWT comes with a three-year limited warranty – this model with on-site service and 350,000 pages of “Print AirBag”. The device comes as standard with an NFC-external link card reader, which can be used, for example, for authentication systems or for secure printing. 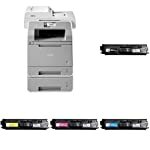 Praiseworthy: Brother packs in the scope of delivery no small starter cartridges, which are pending after a few pages for replacement, but the cartridges, which you can also buy and 6,000 ISO print pages to hold out. The printing costs are on average compared to other 30 ppm color lasers. 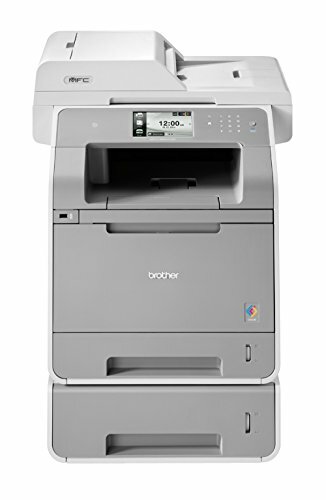 The Brother MFC-L9550CDWT color laser MFP is also available as a single-function variant, called the Brother HL-L9200CDWT and also in the printer channel test. Large touchscreen: Ensures easy operation. 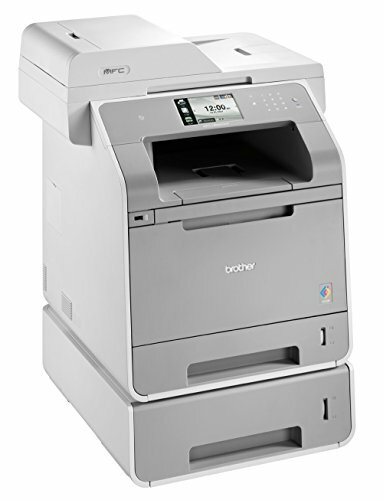 For around 1,400, the Brother MFC-L9550CDWT is a professional color laser printer that can scan, copy, print and fax, and is designed for high-volume departmental printing. The device performed well in our lab test. The operation is particularly easy because the numerous print, scan, copy or fax functions are explained in the large touch screen with small thumbnails. The large paper supply of 750 sheets in two separate cassettes plus 50 sheets in the manual feeder ensure sufficient paper capacity. However, the paper output is somewhat small with 150 sheets. The Brother masters text and graphics printing well – only with full-surface photos can one recognize the rather coarse grain. 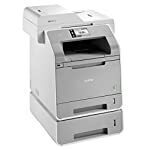 Because the Brother MFC-L9550CDWT is a departmental printer that typically employs multiple people, easy-to-use “access control” is a good tool for the administrator, who can assign or deny certain users rights – such as color printing or the use of the USB stick.